Some of our club members have been looking for starting tables to make it easier to fuel and start their planes, so a little research was done and we can build them! Also, it will help with a lot of those who are having back problems. 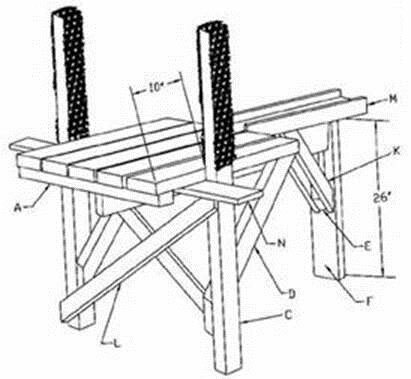 NOMAC is looking to build a few of these starting tables and Cliff Harris is heading up the project. We are asking for donations for the materials and help build the tables, You you would like to donate money or time please contact Cliff Harris. Cliff visited Home Depot and priced the materials.